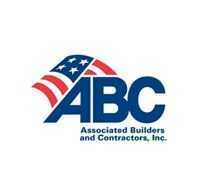 WASHINGTON, D.C. – (RealEstateRama) — Congresswoman Eleanor Holmes Norton (D-DC), ranking member of the House Subcommittee on Highways and Transit, will kick off National Infrastructure Week by participating in two press events tomorrow, Tuesday, May 15, 2018. Norton is one of the “Big Four” House Transportation leaders who wrote the current five-year surface transportation authorization, the FAST Act, which was signed into law in 2015. First, Norton will join Mike Allen for a one-on-one conversation at Axios’ “News Shapers” forum to discuss her efforts to craft legislative solutions to improve and expand the nation’s infrastructure at 8:40 a.m. at AJAX (1011 4th St. NW). Norton will also speak at a press conference hosted by the Highways Materials Group coalition about the critical need for strong federal investment in the nation’s transportation and infrastructure system at 9:00 a.m. at the House Triangle (SE corner of U.S. Capitol). Congresswoman Eleanor Holmes Norton is proud to serve the District of Columbia. 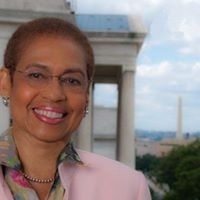 Congresswoman Eleanor Holmes Norton, now in her thirteenth term as the Congresswoman for the District of Columbia, is the ranking member of the House Subcommittee on Highways and Transit. She serves on two committees: the Committee on Oversight and Government Reform and the Committee on Transportation and Infrastructure.